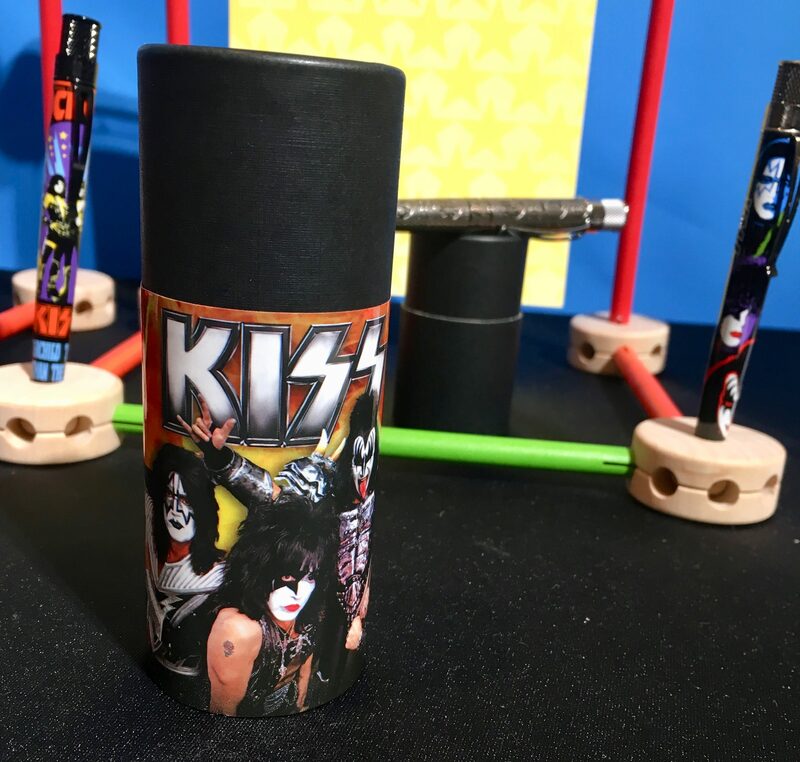 Here’s a fun item that I spotted at the recent National Stationery Show / New York Now Gift Show: Officially Licensed Kiss Rollerball Pens! Kiss‘ bassist and mouthpiece Gene Simmons may be an arrogant blowhard, but he also really knows audience. 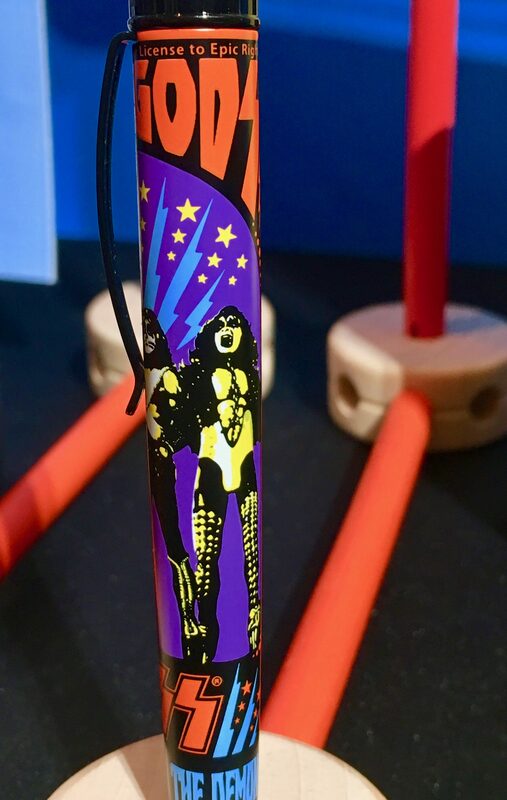 The Kiss Army of fans are nothing if not a fiercely loyal legion who will purchase virtually anything that has the Kiss name it. 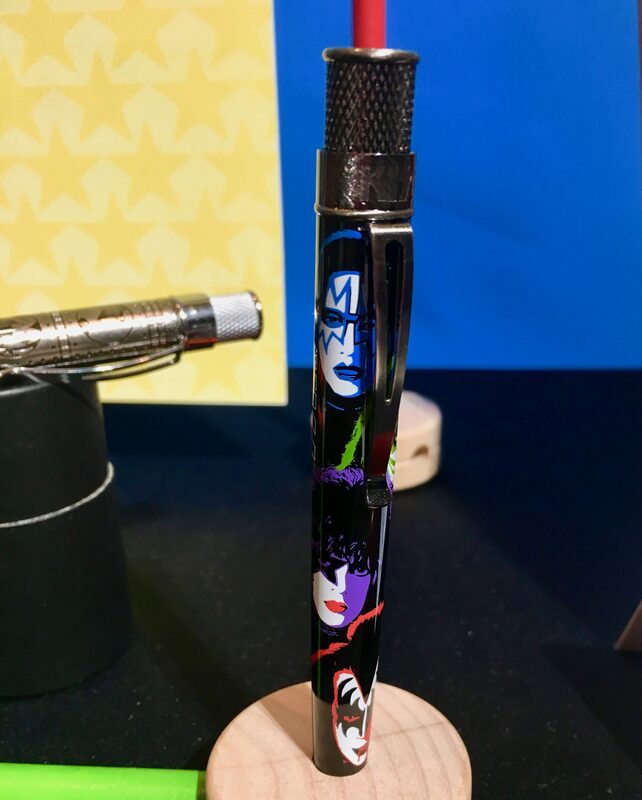 And now at last the time of the Official Kiss Pen has come! This design is called the Rock Poster! This one is called 1978! 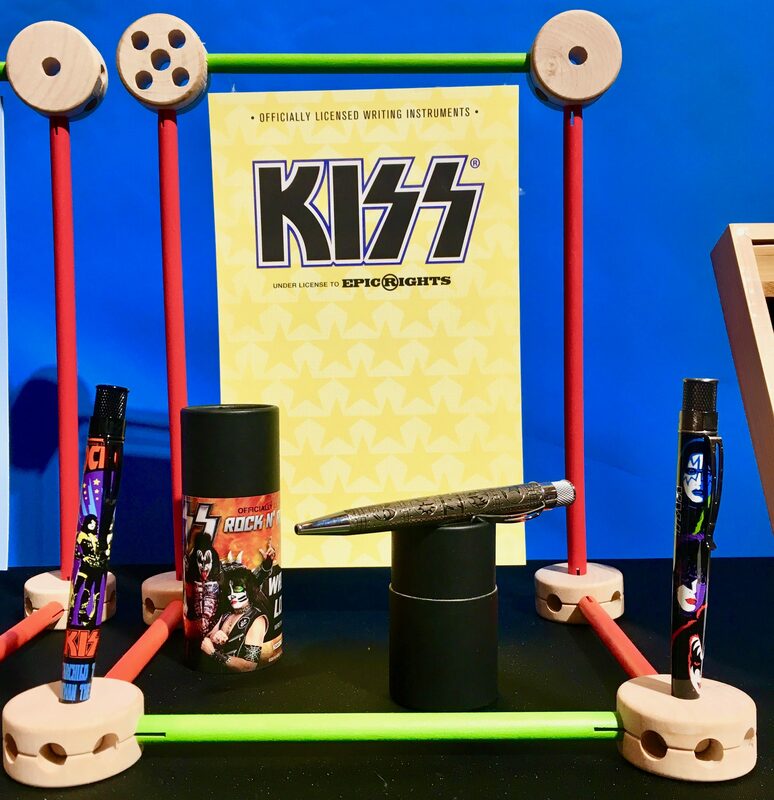 Each pen comes with its own colorful case, to keep it safe and in pristine condition between uses! Please take note that the Spaceman character is fully represented by both guitarists Ace Frehley and Tommy Thayer! 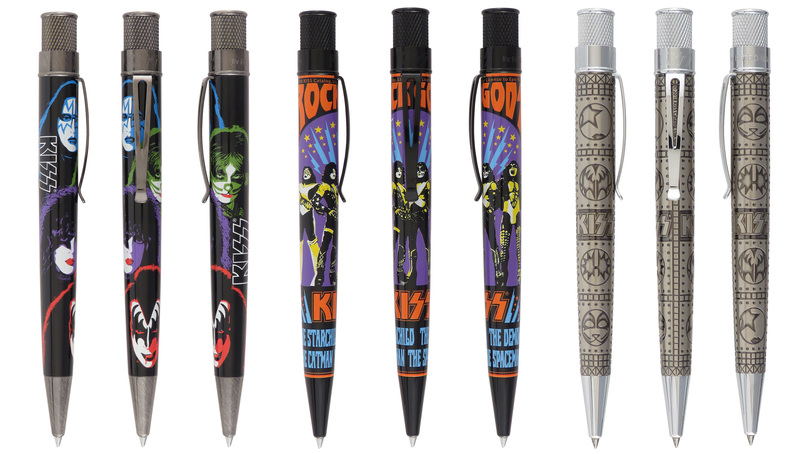 And since these pens and accessories are all officially licensed, you can enjoy them with no fear of litigation! Find a retailer in your area at This Link!